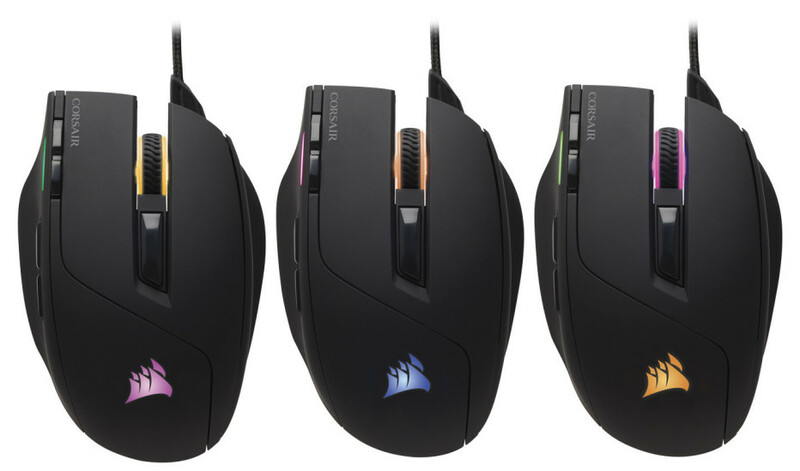 Corsair has announced the new Sabre RGB gaming mouse that has come to retire some older Corsair mouse models and offer new features as well as improved performance. The main new features in the new and updated Sabre RGB gaming mouse include a 10 000 dpi optical sensor, four-zone dynamic multi-color backlighting with endless color combinations, eight programmable buttons and low weight for easier and more enjoyable gaming sessions. Speaking of this the new Sabre RGB gaming mouse by Corsair weighs just 100 grams. The mouse comes with a special ergonomic design and high performance switches that sport fast response and high reliability. The 1000 Hz refresh rate means you will enjoy lag-free responsiveness for fast play. In addition to this the Sabre RGB’s eight programmable buttons can be fully remapped by using the Corsair Utility Engine Software (CUE). The mouse colors can also be synchronized with the colors of your Corsair RGB keyboard by using CUE Link. The new mouse by Corsair is now available from various Corsair retailers and distributors. It comes with a braided easy-flex USB cable and costs USD 49.99 excluding tax.